The Infusion Center at St. Anthony Community Hospital, a member of the Westchester Medical Center Health Network (WMCHealth), provides top-notch care and a comfortable setting for patients requiring infusion treatment. Infusion therapy, when medication is provided via a catheter or needle, is an option when oral medications are not effective. The St. Anthony Community Hospital Infusion Center treats and monitors numerous medical conditions in a hospital environment – but patients are healthy enough that they do not have to be admitted to the hospital. This outpatient care, available seven days a week in Warwick, helps patients optimize their time while receiving quality medical assistance. A team of highly skilled oncology and infusion nurses deliver personalized care. The Infusion Center’s services are comprehensive. 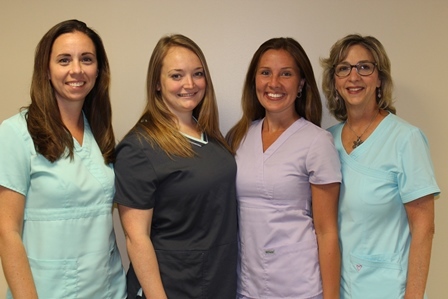 The team works closely with each patient’s physician and educates patients about the process, discusses medical goals and adjusts medications as necessary. Providing a personal touch is St. Anthony Community Hospital’s culture of care. Patients, during therapy, enjoy comfortable reclining chairs in a warm, private environment. A physician’s referral is required to receive treatment at the Infusion Center. For more information, please call (845) 987-5167. When struck with a rare cancer, Lori Lade received compassionate care from St. Anthony Community Hospital – where she’s worked for 30 years. 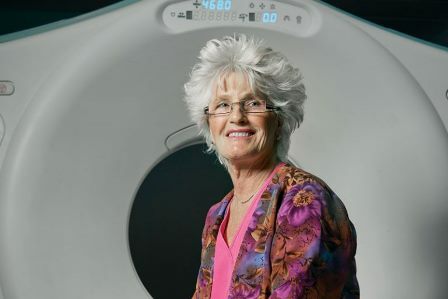 Over those three decades with the hospital’s radiology department, the 66-year-old Warwick resident has made compassionate care a priority: greeting patients warmly, explaining procedures, encouraging questions and offering reassurance. Lade says she takes special interest in helping trauma patients receive the empathy and support they need. Her career also has reminded her to safeguard her own health. With a deep family history of gynecological cancer — ovarian, uterine and cervical — Lade was diligent about getting annual checkups. In 2014, Lade received potentially concerning, though inconclusive, results following a blood test to detect early signs of ovarian cancer. The follow-up abdominal and pelvic CT scan did not diagnose her condition because the image was masked by advanced abdominal changes caused by diverticulitis. An abdominal laparoscopy was ordered and showed the presence of malignant cells of ovarian origin in the abdomen and pelvis. During surgery to remove her ovaries, uterus and nearby lymph nodes, surgeons detected scar tissue, called surface adhesions, in the bowels, which gave them pause. Further testing revealed the ovarian cancer had spread “like a veil” over her adjacent organs. This kind of cancer, known as serous carcinoma, has such low spatial resolution that it eludes diagnostic imaging tests such as CT scans. Lidia Koulova, MD, PhD, medical oncologist at St. Anthony, says Lade’s serous cancer was classified as Stage 3, since it had spread in her body locally, to the lining of her bowel and abdomen. And what better place than the Infusion Center at St. Anthony – cancer care at the highest level, just two blocks from Lade’s home? But Dr. Koulova cites an additional reason for treatment close to home. The cutting-edge cancer treatment at St. Anthony follows a two-pronged approach. First comes testing the cancerous tumor for the presence of genetic and molecular alterations, known as somatic testing. Each tumor has a unique signature in terms of how it mutates and spreads, and even how sensitive it is to treatment. Dr. Koulova used this information to help set the course for Lade’s treatment. Then, upon completion of chemotherapy, Dr. Koulova referred Lade for a consultation with a medical geneticist to search for genetic predisposition to cancer. Dr. Koulova now sees Lade every three to six months. She says that Lade’s positive outlook – coupled with her healthy lifestyle – contributes to her health. For Lade, her healthy lifestyle also meant being able to resume the career she loves. She says her experience as a patient also has enhanced the care she gives. Outside of work, Lade enjoys spending time with her daughter, which is especially meaningful because Lade’s husband died of cancer 10 years ago. Chemotherapy isn’t always the answer. For patients with recurring ovarian cancers that don’t respond to chemotherapy, new hope has emerged in the form of PARP inhibitors. This targeted therapy disables the enzyme (PARP) that springs to action to restore tumor cells under attack. PARP therapy is effective for patients of all ages – including a 92-year-old woman thriving under Dr. Koulova’s care. “It’s a glimpse of understanding a hope for the best outcome,” she says.